Winter storms are not new for Dallas, and they never fail to cause confusion and congestion on city streets. Downtown Dallas has seen its fair share of slippery weather, as seen in the two photos below. The first photo, taken in 1958, looks west on Elm Street from Akard Street. 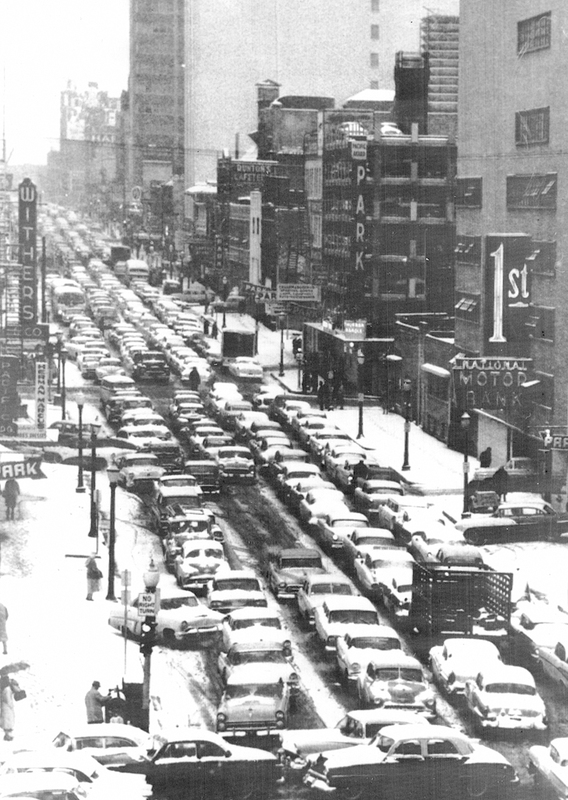 Back when Elm Street carried two-way auto traffic, the winter storm resulted in complete gridlock. Nearly all of the buildings on the north side of this street would be demolished for the skyscraper boom of later decades; First National Bank would build their tower (Elm Place) on the site of their motor bank in 1965. The second photo shows the effects of a snowy winter storm in 1968. Looking north along Ervay Street, vehicles can be seen crossing at Patterson and San Jacinto. 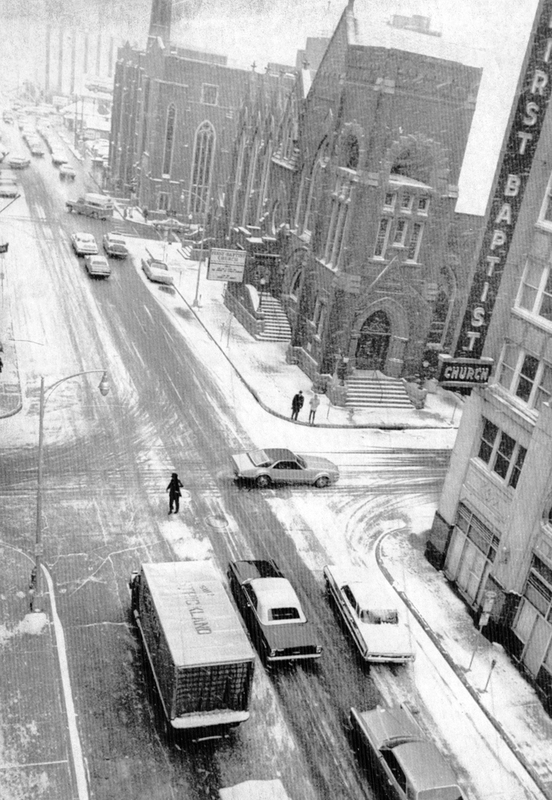 (Patterson Street would later be converted to a pedestrian entrance for First Baptist Church, and San Jacinto would be relocated to the north). One Response to "Winter Storms Cause Havoc in Downtown Dallas"
The first photo shows Pacific, not Elm.